Red hot views in Denver. Photo courtesy of The Red Rock Amphitheatre. 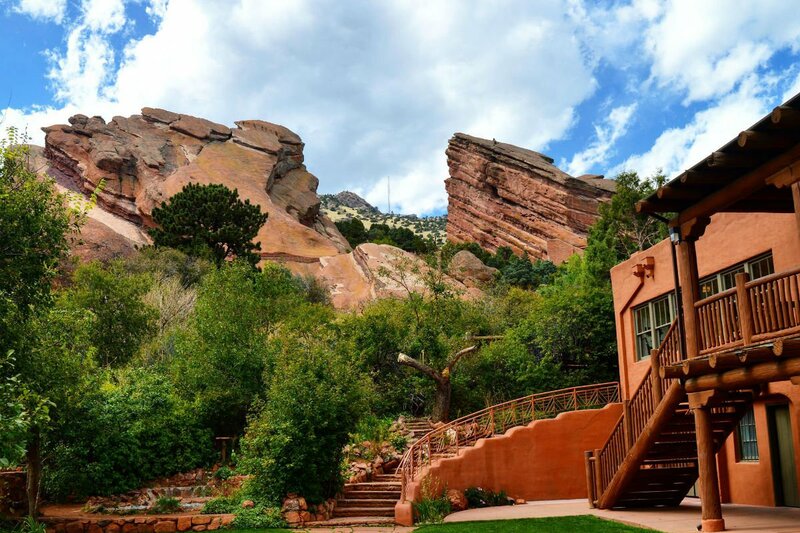 COLORADO – In search of a mountain getaway? Colorado is the answer any time of year. Whether you’re looking to relax at the spa, explore and shop around town, or be outdoorsy, there’s something for every kind of traveler. These are our top destination picks and what to do while you’re there. 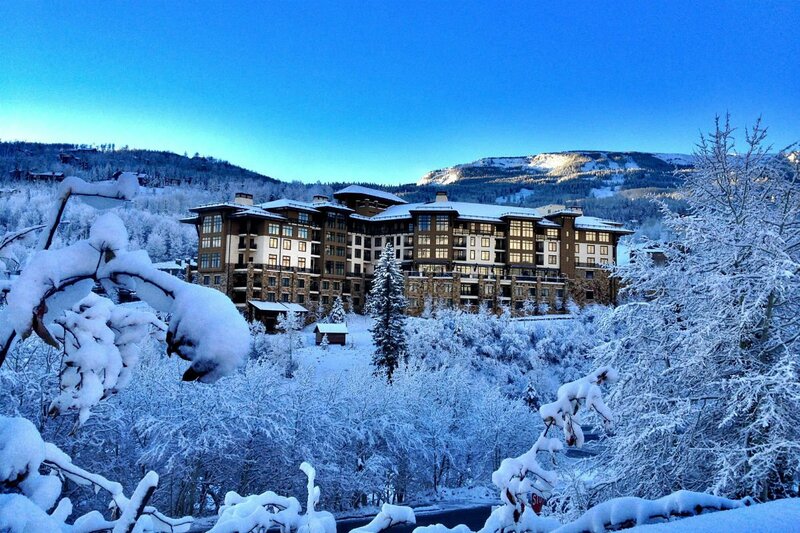 Think St. Barts on snow, and you’ve got Aspen. Local, small town vibes meet upscale, luxurious feels. The ultimate dining experience is all about the journey. Located eleven miles outside the city center, it’s accessible only by cross country ski or horse-drawn sleigh. 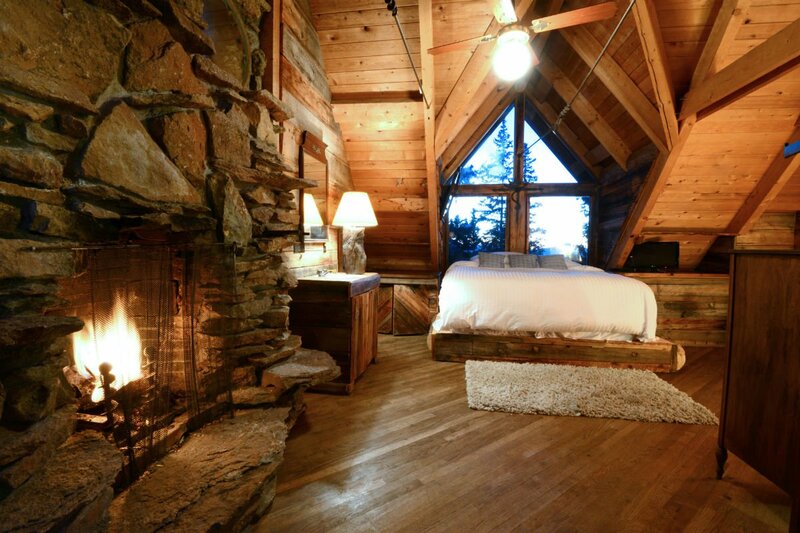 The Colorado log cabin is welcoming, cozy, and matches its surroundings perfectly. Plus, it serves warm and delicious meals made for the mountains. Sleek meets chalet chic. On the slopes of Snowmass no less, for ultimate ski-in/ski-out access. The lower level ski shops allow for seamless boot/ski rentals, and its prime location means you'll get the most out of your day on the mountain. Rooms are fashionable and functional, fit with kitchenettes and washer/dryers, not to mention breathtaking views in effectively every room. Three onsite restaurants that source their food organically and locally, 24-hour room service, and a 7,000-square-foot spa will make it hard to ever leave. Read more on Fathom: Swish! Ski-In/Ski-Out in Snowmass. A must-see, especially If you need a break from all the skiing. 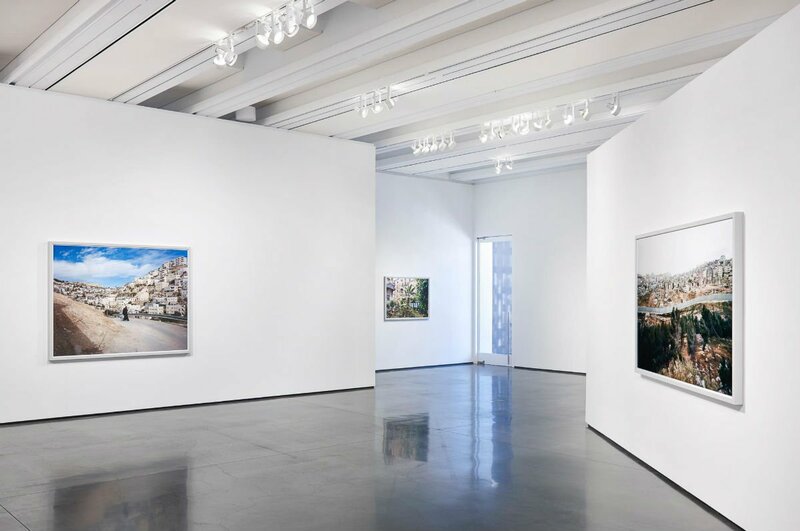 Contemporary works from emerging artists are housed in stark white galleries. Also on view: works by established artists that deviate from their oeuvre and group exhibitions focusing on important issues in contemporary culture and politics. The cellar is brimming with over 20,000 bottles of wine from all over the world, including Roulot and Romanée-Conti in Burgundy, Ridge and Screaming Eagle in California, Piedmont’s Gaja — the list goes on. It’s a wine lover’s haven. If you can’t tell your Chablis from your chardonnay, do not fear — the cellar is staffed with over 50 sommeliers and offers private tastings tailored to your preferences. Viceroy during a snowy winter. Photo courtesy of Viceroy Snowmass. A look inside Aspen Art Museum. Photo courtesy of Aspen Art Museum. The ultimate location for art freaks and adventure junkies. Everybody’s high (and its not just the altitude). A passion for Italo-Alpine flavors led award-winning chef Lachlan Mackinnon-Patterson and master sommelier Bobby Stucky to open a sleek and sophisticated restaurant dedicated to Friuli cuisine. Think warm, hearty, and delicious, with Austrian and Slovenian influences. The well-lit restaurant has floor-to-ceiling windows, ornate flower arrangements, and a vast wall of wines from over 200 regions. Read more on Fathom: Double Your Pleasure at Colorado's Best Italian Restaurant. The self-proclaimed hotel for adventurous travelers has a rustic vibe and modern accents. The lobby doubles as a juice bar and cafe fit with a homey wooden bar with bold yellow barstools. The rooms feel glamp-y, with canvas tarp bed skirts, travel trunks for tables, and a room called the Great Indoors, where the beds are dug into the grass carpeted floor. 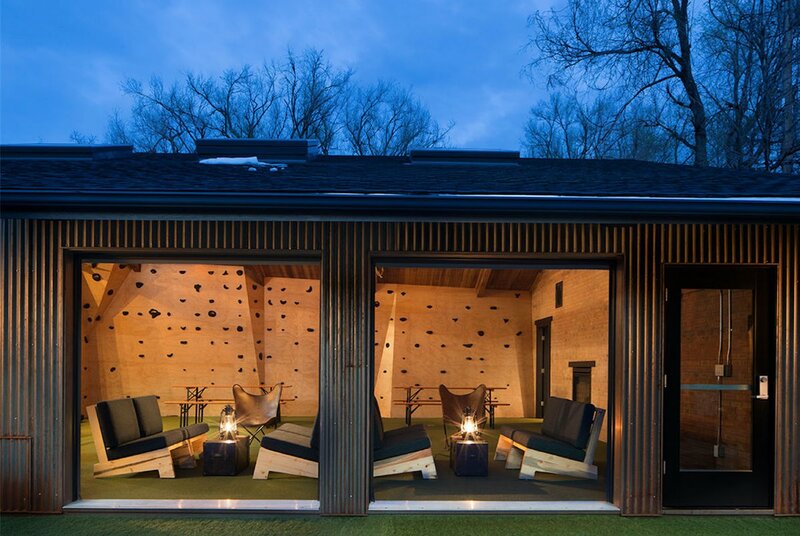 Although the rooms are cozy and spacious enough to chill in, The Lounge near the lobby provides a climbing wall, ping pong tables, board games for rent, and comfy sitting areas. If you’d rather spend your time relaxing outside, the small patio off the lobby is equipped with a fire pit perfect for roasting s’mores. The communal atmosphere is great for solo travelers looking to make friends. Founded in 1972 by a group of local artists in downtown Boulder, the 1906 landmark warehouse building is one of Colorado’s prime venues for contemporary art. Rotating exhibitions range from street art to video installations to large sculptural works. Hangout and rock climbing wall at Basecamp Boulder. Photo Courtesy of Basecamp Boulder. Pack your flannel and coziest parka. The deal is laid-back and easy. The tiny entrance and chalkboard menu outside lead to a dimly lit brick room with leather booths and wooden seats. There’s not much to say about the decor (it's a bit underwhelming), but don't be fooled — it’s all about the food. Between mussels in Thai coconut broth and swordfish with clams, you'll be sold on tasty seafood in the middle of Colorado. The third oldest brewery in the state opened its doors in 1990 on Breckenridge Main Street just below the slopes. It’s a guaranteed lively atmosphere, one that includes pub fare and a vast selection of beer, of course. Homey and spacious chalet-style condos that aren't going to break the bank. Located along the legendary 4 O’Clock Run, the homes are easily accessible for après-ski (on a leather couch in front of a stone fireplace). 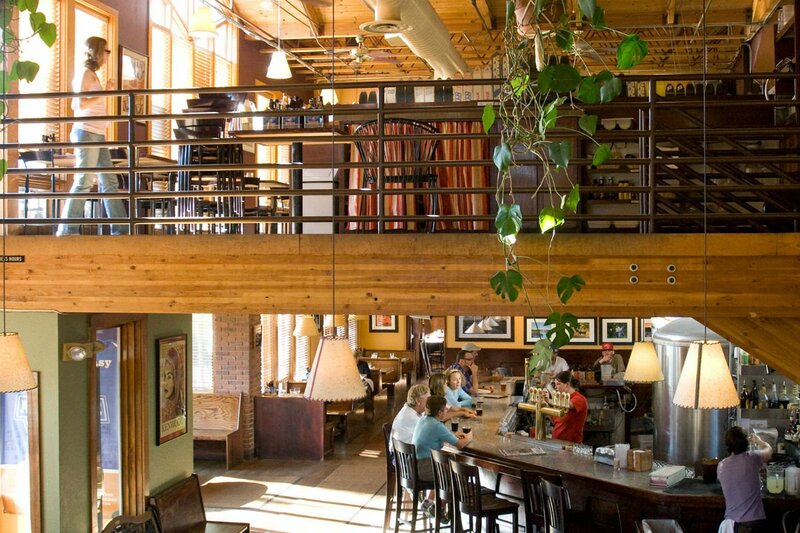 A laid-back afternoon at the Breckenridge Brewery. Photo courtesy of Breckenridge Brewery. The bigger – excuse us – the biggest, the better. Colorado’s largest city is trendy and cool, but still pays homage to its cowboy roots. The colorful exterior is only a preview of what’s inside. Located in the heart of trendy LoDo district, the hotel offers style and five-star amenities. Tall tufted chairs and vintage mirror collages in the lobby create an Alice in Wonderland feel. Although the rooms are compact, they are well designed with vibrant colors and modern amenities. The distinctly retro Stereo Lounge has clubby vibes and fills up with celebrity guests on the weekends. Designed for travelers looking for a party. With white walls, wooden tables and bar stools, and pops of color around the cafe, it’s a cute and comfortable place to enjoy a fresh brew. The wall of coffee beans for sale is further proof of founders Mark Mann and Koan Goedman’s desire to share their passion for a good roast. 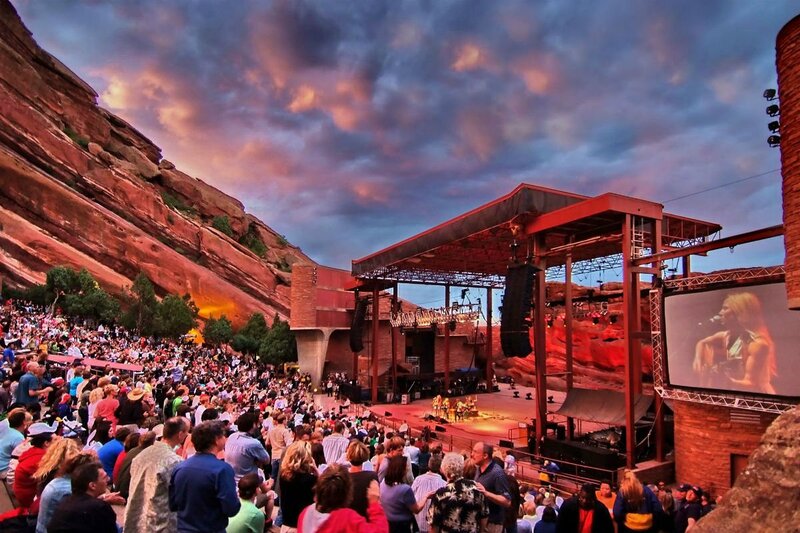 This aptly named open-air stage is naturally built into the red rocks and sits 6,450 feet above sea level, where the Great Plains meet the Rocky Mountains. An incredible place to experience concerts, movies, and even early morning yoga. Not to be missed, it’s a breathtaking sight. This nonprofit museum aims to reflect on the region as well as provide knowledge on cultures from around the world. Permanent collections include everything: African art, photography, textiles, and more. The vast range of regions and genres makes visiting the DAM an activity that can suit anyone. Independently owned and operated, the three-story 50-room hotel is slated to open in May 2018. On-site amenities will include an intimate theater and performance space and a marquee lobby bar run by the folks at New York City's Death & Co. It’s the first hotel to open in Denver’s industrial-chic RiNo neighborhood. The view steals the show. Photo courtesy of Red Rock Amphitheatre. One of Colorado's oldest ski towns — some would say the anti-Aspen. Tiny and charming. A two-bedroom condo with a comfortable living room, furnished with bright furniture and fit with a gas fireplace. There is a private balcony, kitchen, outdoor heated pool, hot tub, fire pit, game room, fitness room, gondola, and ski area, plus an on-call shuttle service. Essentially all the luxuries of a ski hotel with a more personal feel. Small and neighborhoody, with a staff that’s been around as long as the restaurant has (or so it feels). After a long day of skiing, the cozy bistro is the perfect place to come and enjoy a thoughtfully made meal with ingredients sourced from local farmers. The restaurant provides elegant surroundings but is void of any stuffiness. 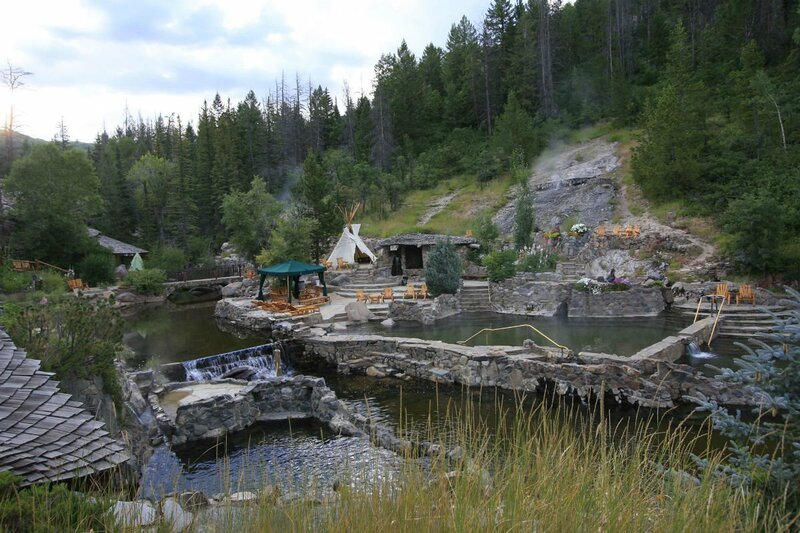 Just outside of Steamboat Springs, nestled alongside Hot Springs Creek, is one of the most breathtaking mineral springs in the world. The mineral water is 104 degrees Fahrenheit, but you're surrounded by forests laden with Steamboats’ trademarked Champagne Powder Snow. There are private massage huts available upon booking and Wastu therapy (a combination of massage, joint mobilization, shiatsu, muscle stretching, and dance) in the private pool. Eat. Sleep. Ski. Not into winter sports? You’re in the wrong place. Opened in November 2016, the five-bedroom property is a mix of rustic and chic accommodations. It’s steps away from the gondola leading up to Telluride’s ski trails, shops, and restaurants. The house manager will arrange ski passes, dinner reservations, and various adventures including fly fishing on the San Miguel River and treks on the local Via Ferrata. Guests are provided cruiser bikes during summer months and ski storage with boot drying stations in the winter. A private and unique backcountry cabin located thirteen miles from Telluride, nestled at the foot of the 13,000-foot Palmyra and Silver Peaks of the San Juan Mountains. It is one of only a few homes in the United States at 11,000-plus feet (and derives its name from its proximity to the stars). In its most essential form, it is simply a vacation home far off the beaten path where people come to get away from it all. An assortment of delicious speciality dishes from all areas of Italy are served in a casual atmosphere. Stone walls, a fireplace, and an enclosed veranda make for a romantic setting. Everything is made before your eyes in the open kitchen at the center of the restaurant. A cozy bedroom at Alta Lakes Observatory. Photo courtesy of Alta Lakes Observatory. It’s a family affair! Homey and cozy, in a town that isn’t too rowdy. The classic ski town sports bar (Garf’s, as its locally known) has been around since 1992. Inside, the walls are covered with photos of patrons, athletes, and documented events. The outside deck provides a great rest stop on a sunny day. The condo resort is a relaxed but upscale mountain retreat. Equipped with a fireplace and full kitchen (in-room dining is also available), the private condos are spacious enough for family vacations or group trips. Amenities include daily housekeeping, on-call shuttle service, complimentary ski storage, free WiFi, and full use of Hotel Talisa’s perks, like the Athletic Club and Spa. A local Vail jewelry shop where the charming owner/designer is usually in store. Dainty pieces are true to the spirit of the region and the selection is fantastic. You’re sure find a Vail souvenir that isn’t kitschy.